The process for putting together this little tabletop garden is actually pretty easy. 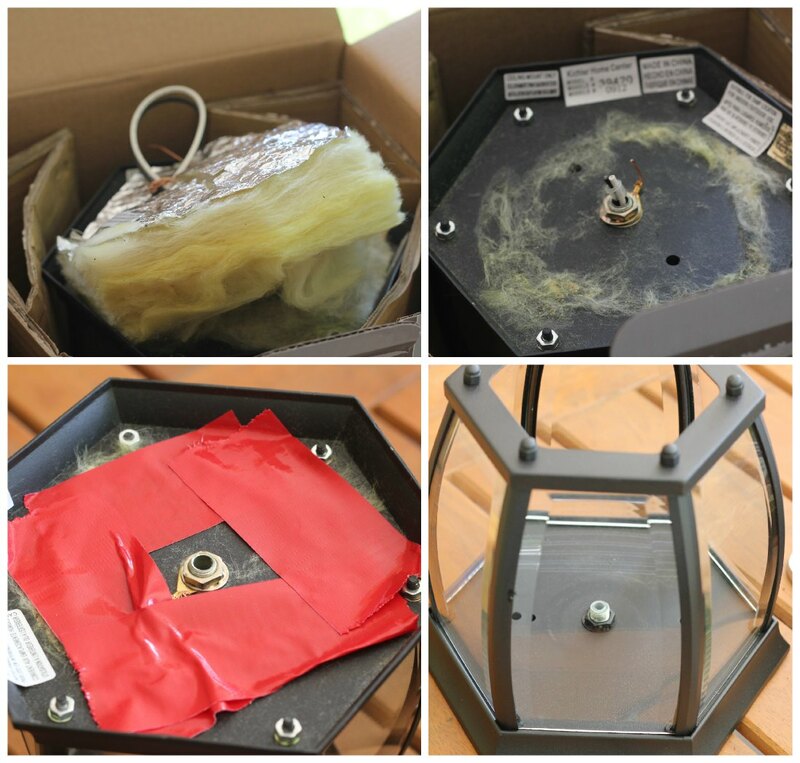 The first step is to just prepare the light fixture. You’ll want to take off any wiring, insulation, etc. You could probably do something a little more permanent with a better seal, but I just put some duct tape on the bottom to keep a lot of soil from coming out of the holes. 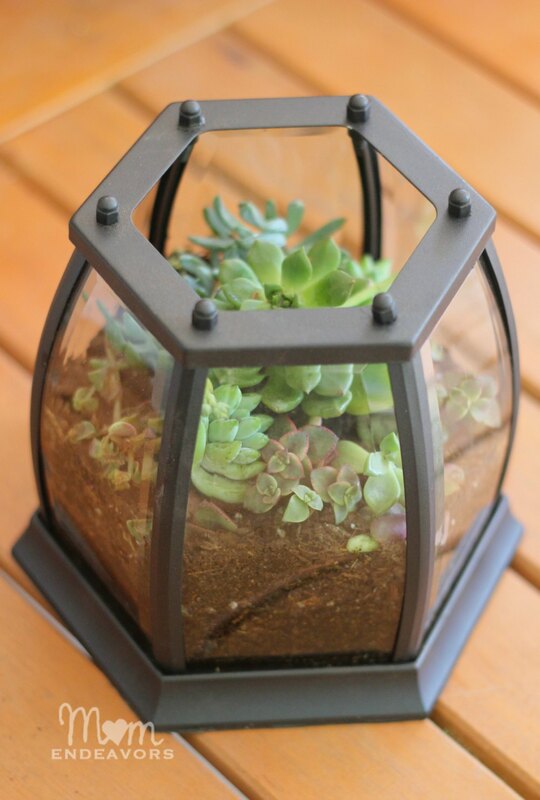 Once the light fixture is prepped, then fill it with a couple of inches of potting soil and start planting. I started around the edges and left the larger succulent plant for the center. Once it’s all planted, give it a bit of water (but not too much!!). The structure isn’t water-tight, so be careful about what you’re watering it on. These plants don’t need an abundance of water, so go ahead and let the soil dry out before you water again (but maybe don’t wait for weeks! 😉 ). 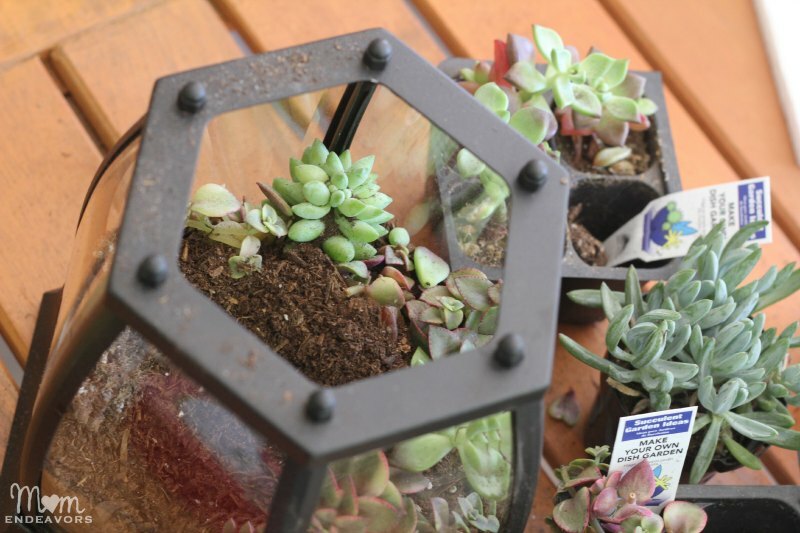 The end result is a fun little repurposed tabletop garden that looks great out on the patio! You can’t really go wrong with a simple project like this! 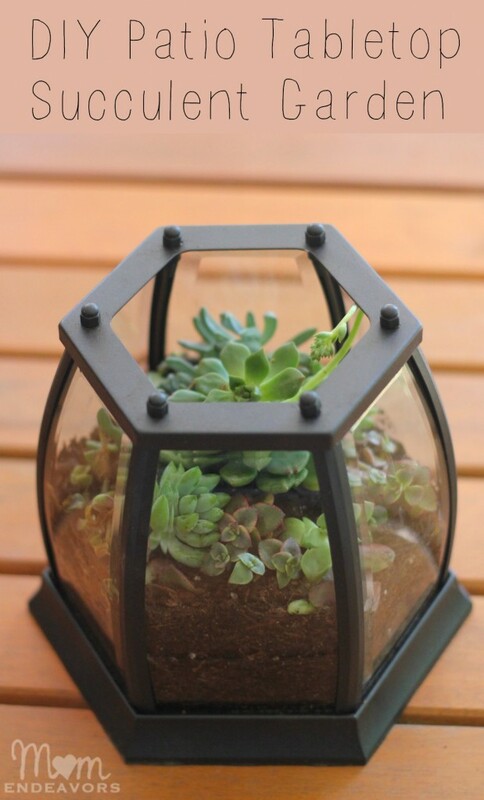 You could even bring it inside as long as you remember to take it outside to water it! 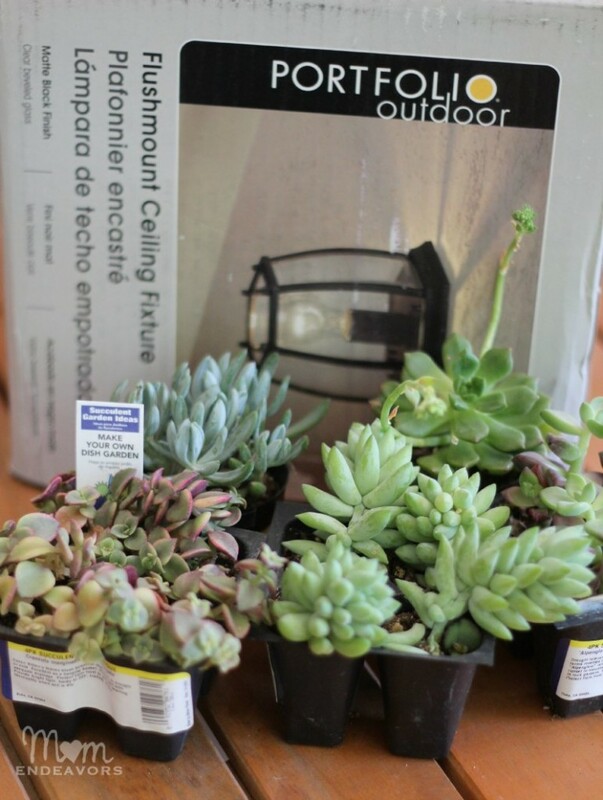 Have you hopped on the succulent bandwagon? This turned out great. We have a Re-store in town that sells used and surplus building materials. I Bet I could find a light fixture for next to nothing! 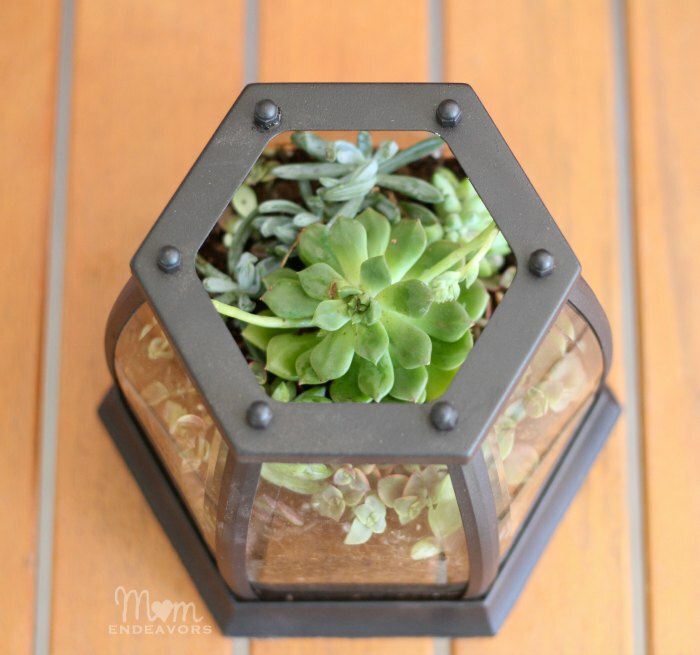 Thanks for the fun DIY succulent planter tips. Have a fun weekend, hugs…. Thanks! That’s a great idea to find something at the re-store. I need to find a good one here!